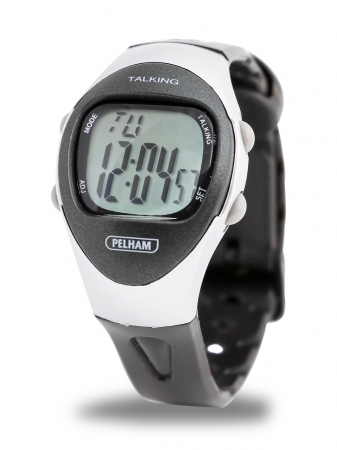 Maximum count time of 24 hours. Speaks the hours, then 10 minutes and 19 seconds when counting down. Pause and auto repeat functions. 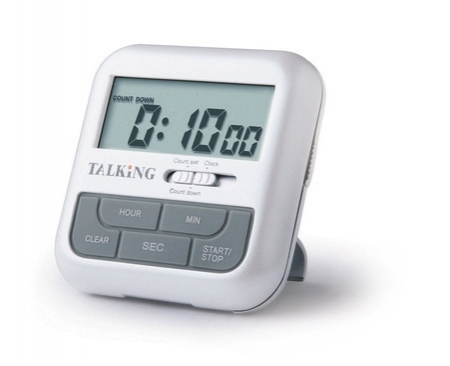 This countdown timer with a maximum count time of 24 hours also functions as a talking clock. When counting down the clock will speak the time every hour until the last hour, every ten minutes until the last ten minutes, every minute until the last minute, then every ten seconds until the last ten seconds when it will count out every second. 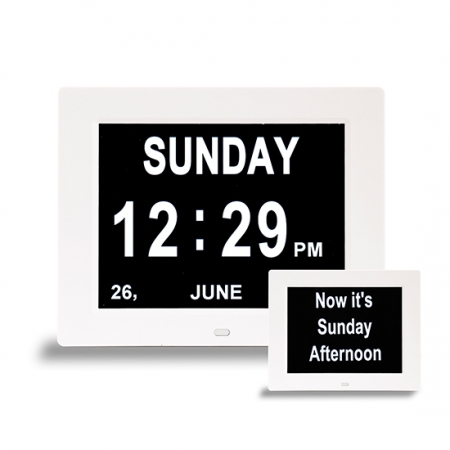 Counting can be paused at any time and the timer has a useful auto repeat function. 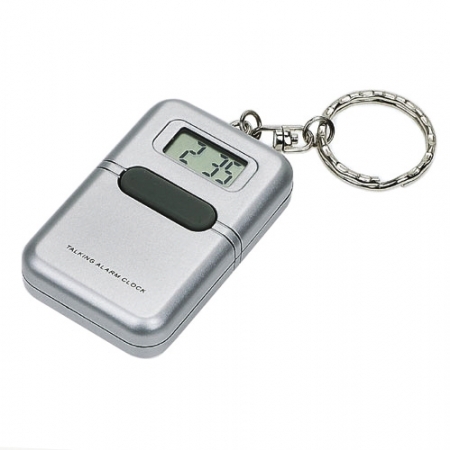 The timer is supplied complete with batteries.